This article is 348 days old. 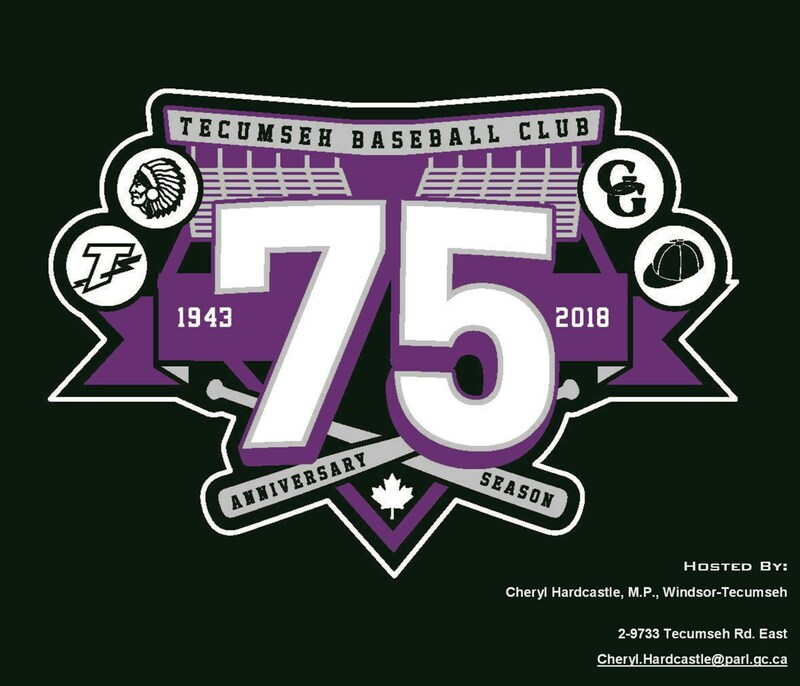 This years marks the 75th “Diamond” anniversary for The Tecumseh Baseball Club. To celebrate this milestone, an open house is planned for Saturday, May 26th at Bert Lacasse Baseball Park. Everyone is welcome to enjoy an afternoon of baseball and to visit the teams clubhouse to view 75 years of history. There will be baseball games, including running the bases for the kids (immediately after each game), as well as food and souvenir t-shirts available for purchase. Gates open at 12noon, and field action kicks off at 1pm when the Tecumseh Green Giants (35+) take on the Woodslee Orioles (35+) in Essex County Senior League play, followed by a 4pm game with the Tecumseh Thunder Seniors (22 and over) vs the Thunder Juniors (under 21) in Can-Am League play. For more information, please visit the Tecumseh Thunder Baseball Club website at www.tecumsehthunderbaseball.com.